USA Today published a feature explaining why many of today’s retirees are opting for bright lights and big cities. The article, by Rodney Brooks, quoted extensively from the popular website TopRetirements.com. Brooks then recommends New York, Boston, Philadelphia and Pittsburgh as exactly the sort of walkable cities where retirees can live in neighborhoods with far less dependence on cars to move them from one desirable amenity to another. 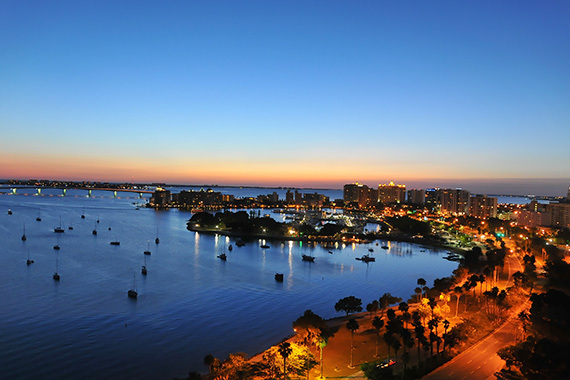 In the same breath as these older and larger cities, Brooks also recommends Sarasota. That night, in a downtown bistro, we struck up a conversation with a couple who had just retired to Sarasota from suburban New York City. Ever curious as to why so many Baby Boomers choose our area for life’s second act, we posed that question directly. Their answers suddenly put human faces on everything the USA Today article had to say. Still, the true light bulb moment for each of them didn’t come until just after their departing flight took off. From that moment on, the couple began investigating every major market on peninsular Florida’s east and west coasts—from Palm Beach down to Key Largo, around to Naples and up to Clearwater. But their hearts and minds always hearkened back to Sarasota.